Yorkshire's incentives are real delegate magnets, with everything from pampering sessions to high-octane adrenaline-surging pursuits. 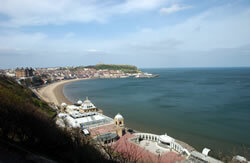 Hull and East Yorkshire is packed with exciting incentive options from experiencing the thrill of jet skiing at Fosse Hill Jetski Centre in Brandesburton, to heading up the coast to Bridlington to see, hear and be amazed by over 200,000 seabirds nesting, feeding and soaring at the famous white chalk cliffs of the RSPB Bempton Cliffs Reserve. Take to the sea aboard the ‘MV Yorkshire Belle’ where you will get so close to the cliffs you’ll feel you could almost touch the birds! Back on land, golfers will be delighted to discover the abundance of facilities here, including two golf hotels. Cave Castle Hotel & Country Club, an historic castellated manor house nestling in sixty hectares of rolling countryside at the foot of the Yorkshire Wolds. The 18-hole course provides a good test for all levels of golfer. Just a short drive away across the spectacular Humber Bridge is the luxurious, four-star, Forest Pines Hotel and Golf Resort. The stunning 27-hole golf course offers challenging fairways and greens that seamlessly unroll through a natural canvas of ancient woods and wild heathland. Rise to the challenge at the KP Club a new development set in the heart of an eighty hectare countryside estate with breathtaking views over the Yorkshire Wolds, reaching as far as York. The course includes the legendary par 5 fourth hole which measures 558 metres, making it the country’s most demanding par 5! Then slow the pace right down and enjoy a gentle ramble across the peaceful Yorkshire Wolds – just the thing to work up an appetite. Amongst the many splendid restaurants in the area, there is none finer than the award winning Tickton Grange – a Georgian country house hotel set in beautiful grounds on the edge of the Yorkshire Wolds. Shopping is always a favourite pastime, and again this corner of Yorkshire offers an extraordinary variety, from the Princes Quay Shopping Centre built on stilts over a historic former dock, with its blend of big name stores and designer boutiques, to the colourful market at Beverley. While your guests are in this pretty market town, don’t miss a visit to the atmospheric Beverley Minster or spend a thrilling time watching the sport of kings at Beverley Racecourse. Complete your day in Beverley with a relaxing meal at the Westwood Restaurant, which is based on New York’s grill restaurants, with quality of meat being paramount. As well as shopping, Hull city centre can also keep you entertained in the nine free museums or the iconic visitor attraction, the Deep, home to forty sharks and over 3,500 fish. Why not catch a fascinating tour of Hull’s Old Town, by following the fish pavement or ale trails for different views of the city. Simply exhilarating. That's the only way to describe this lively, cosmopolitan city and its surrounding areas. 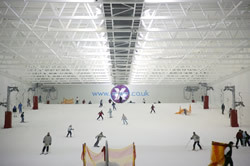 Winter sports lovers can skate over to Xscape in Castleford, where they can try their hand at skiing on the amazing indoor snow slope. With sport in mind, a team building exercise at Elland Road, fabled home of Leeds United Football Club, will give a feel for the atmosphere before a big game and the opportunity to meet some of the ex-players at an evening reception. For another superb team building experience, head off to Wakefield for the National Coal Mining Museum where guests can be lowered 140 metres into the bowels of the earth. From underground to overground - what better way to see this beautiful county than from the air; book a helicopter flight from a base near Leeds/Bradford international airport. Bradford’s National Media Museum allows your guests to script, film and star in their very own TV programme at Event TV. If that’s not enough drama for one day, book your seats at one of the county’s world class theatres including the West Yorkshire Playhouse in Leeds or Bradford’s Alhambra Theatre. Leeds has its very own Harvey Nichols and designer boutiques galore in the glorious Victorian shopping arcades at the Vicroria Quarter and in the equally fashionable but more modern setting of The Light. For a well-earned pampering session, head off to the Titanic Spa near Huddersfield where your guests can relax and enjoy an enticing selection of therapies. Dining out is a must, with such award-winning restaurants such as Anthony’s in Leeds, The Box Tree in Ilkley or any number of celebrated Asian restaurants in Bradford including Mumtaz or Prashad. With fabulous boutique hotels like 42 The Calls in Leeds and elegant country hotels such as Five Star De Vere Oulton Hall, Marriott Hollins Hall Hotel near Bradford or the Thorpe Park Hotel & Spa in Leeds, this must surely be the perfect destination for a real reward. Few areas offer such diverse pleasures as this one. From the stretching sands of Scarborough to the storm-tossed Heritage Coast, from bustling market towns to the empty skyscapes of the moors, your group will discover a wealth of opportunity to make the most of their stay. Take a gentle ramble in the pristine landscape of the North York Moors - it’s the very best way to explore the Yorkshire countryside. There’s nothing like an outdoor adventure for building team spirit, and East Barnby Outdoor Activity Centre near Whitby offers a whole raft of challenging opportunities such as kayaking, surfing and climbing. Golfers will be in seventh heaven at Scarborough’s Ganton Golf Club - one of the finest championship courses in England and famed for its fearsome bunkers. If your guests prefer driving powerful cars to driving golf balls, the Langdale Quest 4x4 driving site in Scarborough is for them - 10,000 acres of forest land to skid, slide and power through in one of over 70 souped-up vehicles. There’s no finer way to round off an afternoon in the fresh air than a mouth-watering meal, and this area boasts a superb choice of award-winning restaurants. That includes the Michelin-starred The Star Inn at Harome. If you’re hungry for culture, your group will find a trip to the Stephen Joseph Theatre in Scarborough a satisfying evening where they could catch an Alan Ayckbourn premier. Finally, return to a luxury hotel such as the Feversham Arms in Helmsley for a delightful blend of formal elegance and Yorkshire charm. From sports activities at some of the UK’s leading venues to team building activities in the outstanding Peak District; Sheffield, Barnsley, Rotherham and Doncaster offer unrivalled incentives and ground breaking team building for your guests. We do golf by day or night in South Yorkshire. By night, Sheffield International Venues have introduced their innovative night golf package, where you are free to roam the picturesque grounds of Beauchief Abbey with its lit fairway and luminous balls. For a little more adventure, take a personal training session with a GB Diver at Ponds Forge Sheffield. If getting wet or going head to head is not for you, embark on an environmental day at Potteric Carr Nature Reserve, home to the UK’s leading conservation charity, or experience duck herding at magnificent stately homes like Chatsworth House. 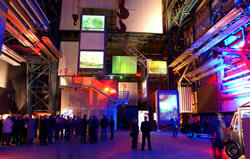 Indoors, take a forty five metre leap at converted Templeborough Steelworks - Magna, as part of the Awesome Foursome, which combines bungee jump, powerfan, abseil and zip wire activities for an adrenaline filled package. Learn to rock climb at the Doncaster Dome or ice skate at Ice Sheffield – you could even challenge your colleagues to Giant Ice Cube Curling. Continuing the competitive theme, the Olympic Training Centre English Institute of Sport Sheffield allow groups to thrash it out while playing mini ice hockey or going up against each other in gladiator style competitions with giant inflatables, obstacle courses, rugby and boxing. Alternatively, enjoy a snooker tournament at the World Snooker Academy hosted by one of the award-winning snooker greats – the tournament winner will receive the prize of all prizes when they play the host – a famous snooker legend. If you are looking for a tastier menu, organise a special demonstration at the award winning gastro pub The Milestone and allow delegates to see how the professionals cook. Your guests will pick up tips from the experts before sitting down for a meal to remember. Alternatively, whet your appetite and sip ice cold Champagne as you explore the latest Tate and V&A collections at Millennium Gallery. Vibrant with history... buzzing with atmosphere... packed with attractions... whatever inspires your guests, they’ll be drawn to the magic of this enchanting destination. 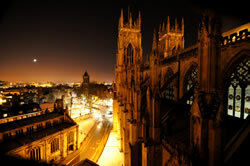 York’s a city that’s sure to fire the imaginations of your guests with its narrow cobbled streets and world famous gothic Minster, the largest of its kind in Northern Europe, take a guided tour to fully appreciate this stunning building and climb its steps for a staggering view over the city. One of the best ways to appreciate the beauty of this part of the world is by taking to the air. Hot Air Ballooning from York, offers spectacular views of the city and the surrounding countryside or if you enjoy something a little faster why not take a helicopter ride, perfect for small corporate groups wishing to explore York from above in ultimate style. York is a magnet for shoppers with its treasure trove of antique shops and designer boutiques while the fascinating Jorvik Viking Centre offers private tours complete with resident Vikings and authentic canapés! If your group feels the need for speed, Elvington Airfield near York, lets them take the wheel of a high-powered sports car for the driving experience of their lives. 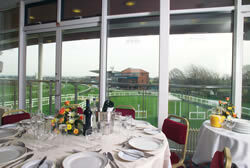 A day at York races will be a real winner with a group, as they roar on the favourite from the impressive new stand. Aldwark Manor has a fabulous golf course while the North of England Activity Centre offers Clay Pigeon Shooting, Karting, Quads, Gliding, Off-Road Driving - and much more!